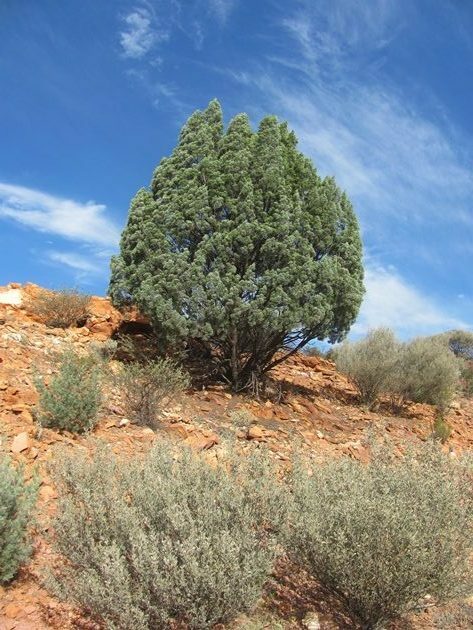 There are some excellent “breakaway country” locations in the Goldfields area of Western Australia and one fine example is near Leonora. The gravel road is approximately 40 kilometres/25 miles north-east of the small township and is usually in reasonable condition. This particular area with its eroded cliffs is called “The Terraces” and is a beautiful place to explore and take in the environment. Although there were not a huge variety of birds in the area it was an enjoyable visit in June. 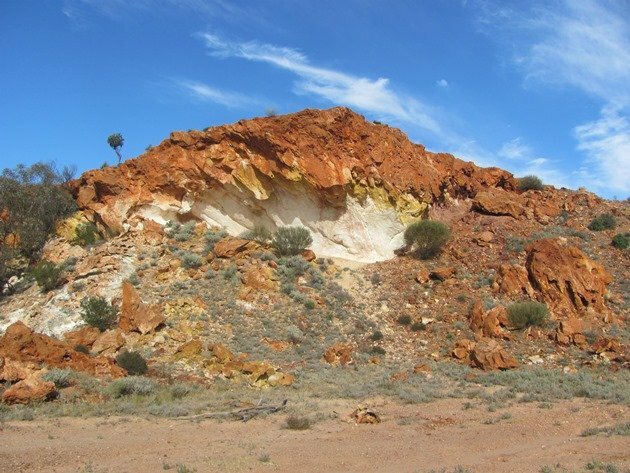 The formations formed as a result of many years of wind and water erosion make for some great colours as you can see above and below. 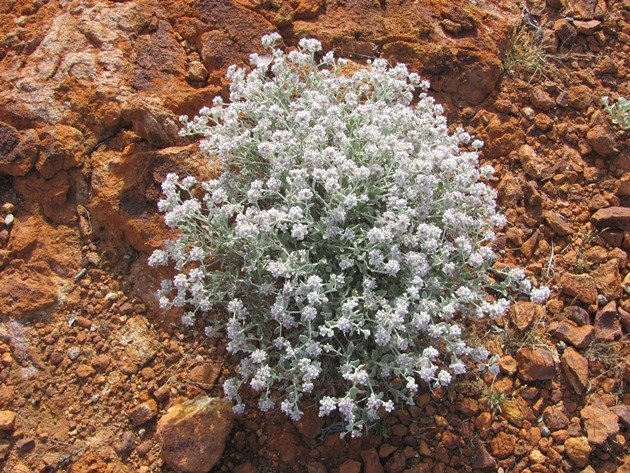 Although it looks particularly barren there are some amazing plants that appear to survive on close to no water or soft substrate and during spring the area will be even more spectacular with the wildflowers. 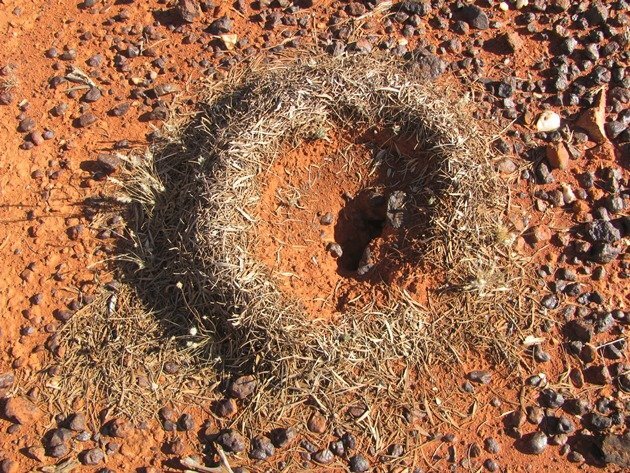 In among all of the plants you find these amazing structures where small sticks have been gathered and arranged around a small hole and these are ant’s nests. It is completely unlike any man-made structure! Now you have seen just how incredible the landscape is I will fill you in on the bird-life! The first birds that we saw when entering the area were Black-faced Woodswallows, Galahs, Zebra Finch, Budgerigars and White-winged Trillers. Large dead trees were the roosts for the majority of these birds which made them easily visible. We soon set up camp and discovered many more species around the area including Red-capped Robins, Hooded Robins, Willie Wagtails, White-browed Babblers, Crested Bellbirds, Australian Magpie, Crimson Chats, Pallid Cuckoo and Crested Pigeons. The skies were worth keeping an eye on due to the presence of several birds of prey. 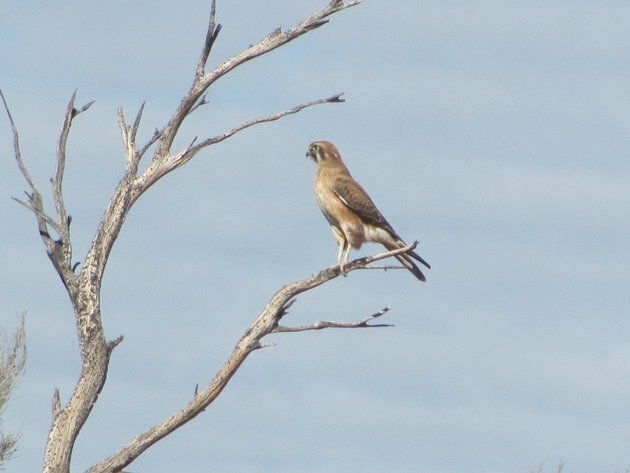 These included the Nankeen Kestrel and the Wedge-tailed Eagle. 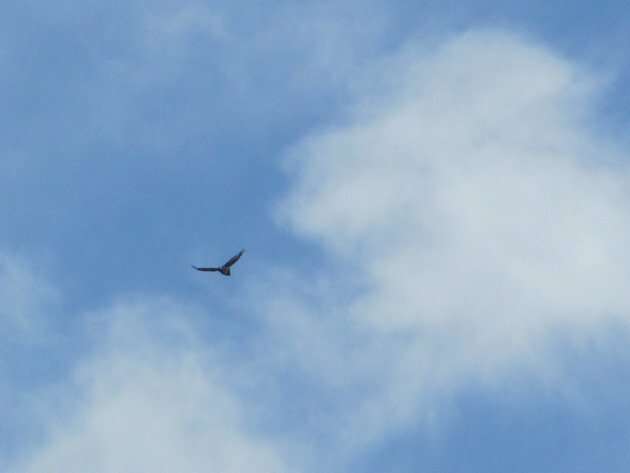 It is always tricky trying to photograph a Wedge-tailed Eagle, but I did attempt it! At least you can see the huge wingspan and the wedged tail! It is easier when they are on the ground! It is much easier to photograph Brown Falcons, which always seem to be roosting more than flying. Their colour can vary from very dark brown to very pale brown and the specimen at The Terraces was one of the paler of the species. The more vocal of the birds in the area were the Pied Butcherbirds, which often call early in the morning. 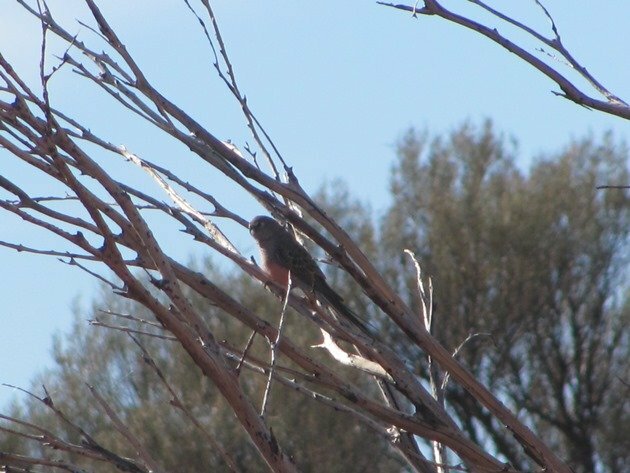 Grey Butcherbirds were also present and among the flowering native trees we soon came across Singing Honeyeaters, Spiny-cheeked Honeyeaters and Yellow-throated Miners. 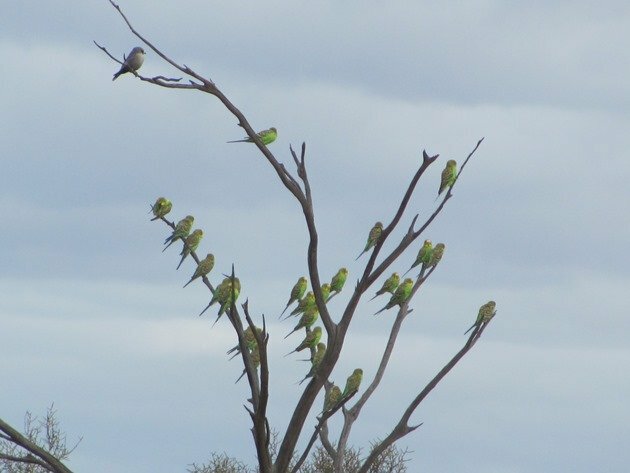 The highlight of the area for us was the presence of several dozen Bourke’s Parrots, which despite being grey on the back and mostly pink underneath they are able to blend into the environment very well! 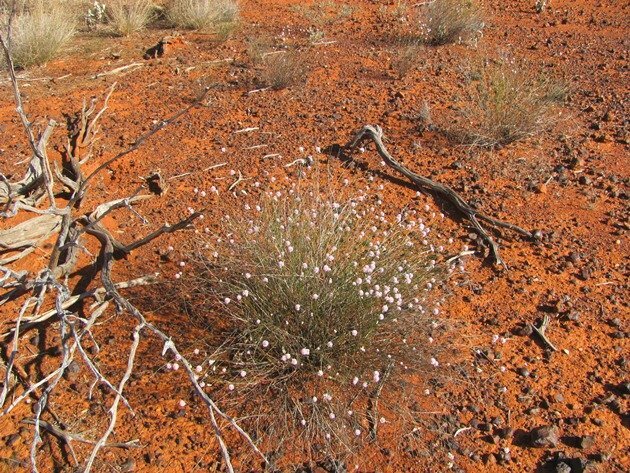 They love Mulga scrub and we were in the right location for the species, but it definitely does not mean you will encounter or observe them! 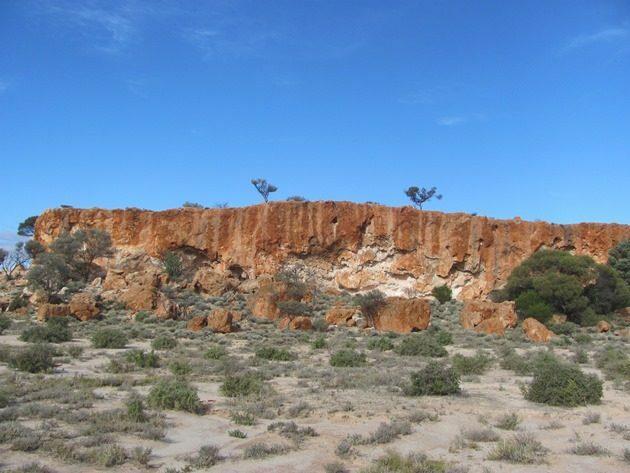 Whether you are interested in geology formations, wildflowers, camping out beneath a Southern sky, birds or all of these things then this is a great location to visit and we would recommend it to anybody! It is a large area and we only encountered one other vehicle over our visit. 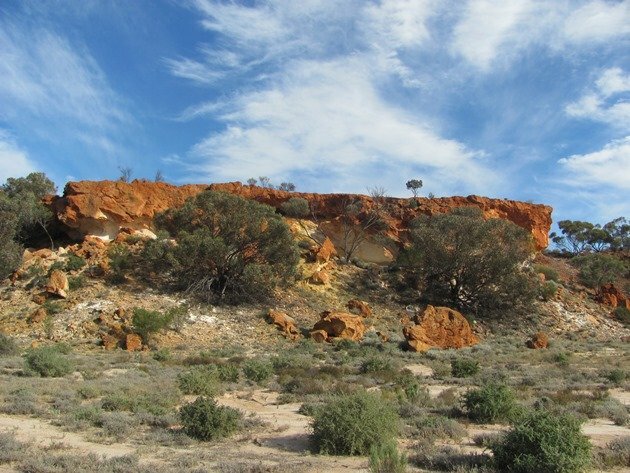 There are no facilities and no phone reception, so if that bothers you then maybe stay close to towns in Western Australia! You guys bird in the coolest looking places!